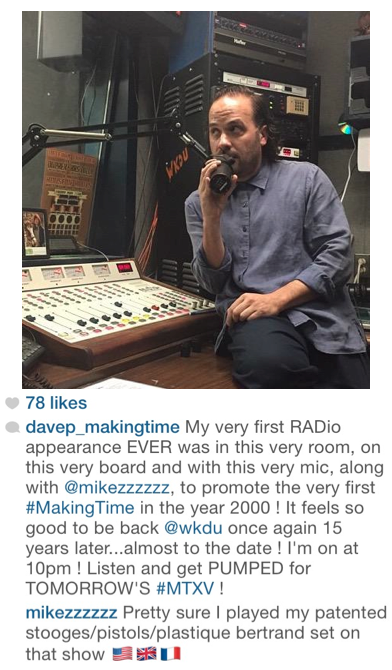 Did you know that Dave didn’t even DJ at the first Making Time??? It’s hard to believe listening to him rip the decks now, and after he laid down a killer mix for us, we got to chatting about Making Time history and some of the epic (in the truest sense of the word) nights that have happened over the last fifteen years. Take a listen to our chat as Dave recalls some of those nights, and talks about everything from hearing The Strokes for the first time, to Red Bull money, to Making Time marriages.